I added my circuit diagram to my post on how I wired my aux. lights. Here it is if you don’t want to click on that link. 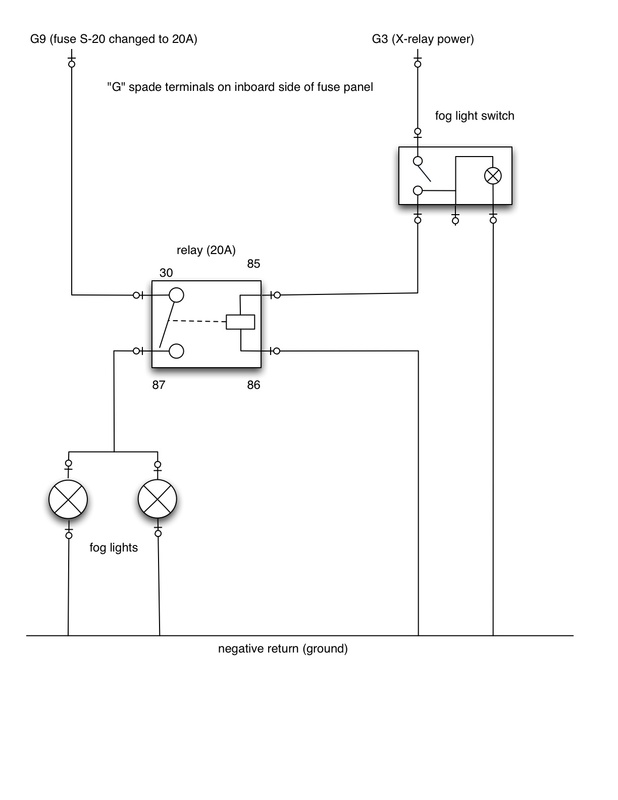 Note: the diagram for the fog light switch is not correct in that the 3 position switch does not have the internals wired as shown, but the diagram works for the purpose now. This entry was posted on June 18, 2011, 8:00 pm and is filed under vanagon, vanagon mods. You can follow any responses to this entry through RSS 2.0. You can leave a response, or trackback from your own site.